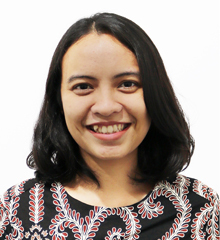 Rina Pebrianti Putri has a Teaching Degree from Atma Jaya Catholic University of Indonesia. She joined NIS in 2018 as a Nursery Teacher. 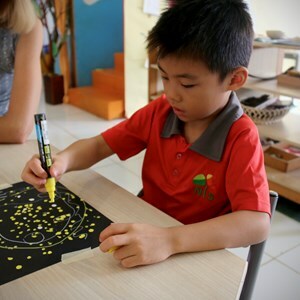 Putri has a passion for teaching and working with young learners. 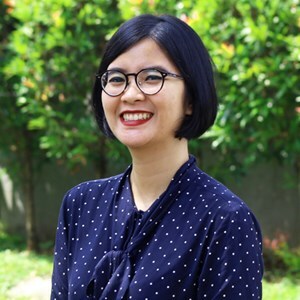 Throughout her studies and in the past few years as a young teacher, she has gained a wide range of experience within diverse childcare and educational settings; teaching within local schools; being a private tutor and child minder for expat families; and teaching unprivileged children at Museum Mandiri Kota Tua. Putri is a committed professional and is loving being part of the NIS family where she can work closely with her colleagues, collaborating and continuing to learn and grow as a teacher. She loves making every day special for each child, nurturing them to grow and develop as amazing little learners. Putri enjoys spending her time with her friends and family. She takes pleasure in making crafts, writing poetry, baking, swimming, and outdoor activities such as hiking and rock climbing.